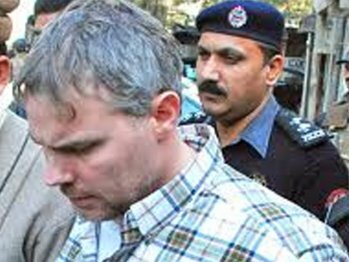 Release of the US undercover secret agent, Raymond Davis who killed 2 Pakistani citizens in February last year, was challenged in Lahore High Court (LHC) Saturday. The petitioner, mother in law of late Fahim who was one among the two shot dead by Raymond Davis in Lahore, took the plea that Raymond Davis could not be released unless both the parties pardoned him. “I have not pardoned him and even then he has been released, therefore, legal proceedings should be initiated against him”, she prayed.